WLD-19 racing calipers provide the ultimate in strength, weight savings, and high efficiency brake clamping for F/F and all other formula category road race vehicles configured for use with the traditional LD19 lug mount style calipers. 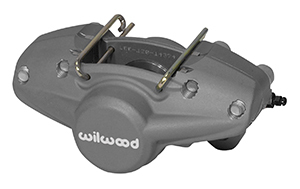 The calipers feature a high strength, light-weight 2.3 pound forged aluminum body fitted with machined stainless steel pistons in the standard WLD19 model, or heat-blocking Thermlock® pistons in the WLD19/ST models. 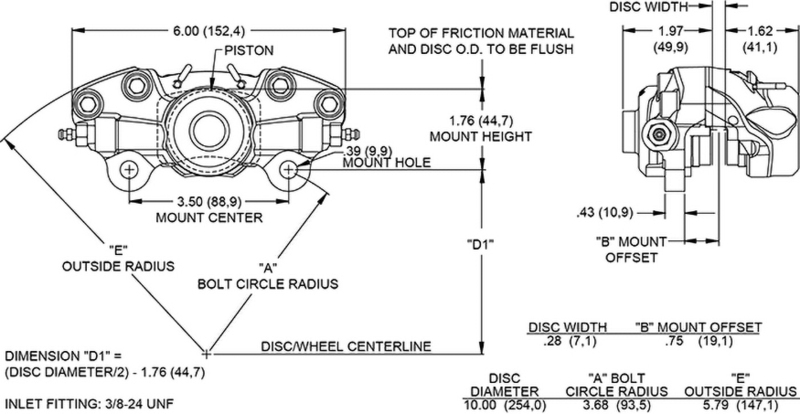 All WDL19 series calipers utilize the same mounting centers, height and offset as the traditional LD20 calipers. The calipers accept Wilwood type 5310 brake pads, or any brake pad made to fit the original LD19 models.